Palm Beach, Florida (CNN) President Donald Trump is well outpacing his predecessor on the green, making his 16th visit to one of his eponymous golf courses since taking office as he marks the end of another weekend at his Florida getaway. Trump was spotted Sunday driving a golf cart and making a putt at his Trump International Golf Course — the only sign of his activities at the facility since his handlers have declined to detail what he’s doing inside the private establishment. President Barack Obama, also an avid golfer, waited months before playing a round when he first entered office. His first documented golf outing came April 26, 2009, just shy of the 100-day mark in his presidency. 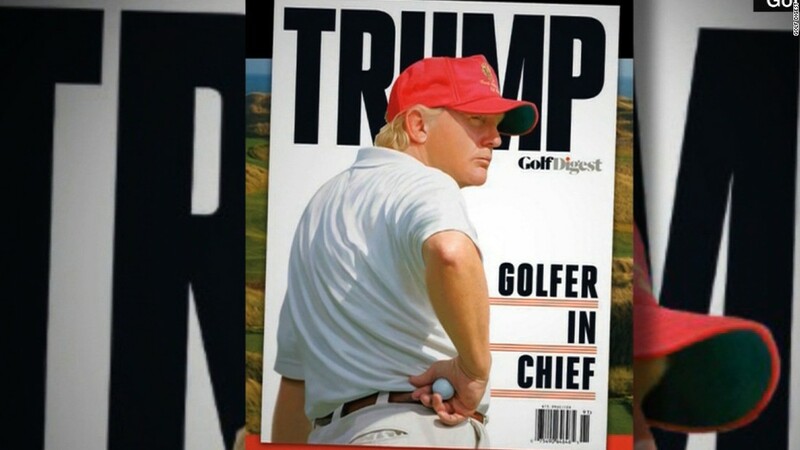 He later quickened his pace, racking up 333 rounds of golf over his two terms in office, according to Mark Knoller, a CBS News reporter and unofficial presidential historian. Obama didn’t avoid recreation when he first entered office. He spent several weekends with his family at Camp David, the presidential retreat in the Catoctin Mountains of Maryland, and returned to Chicago for a weekend at his private home. But he did steer clear of the links. When he did make his first outing, he traveled just outside Washington to the course at Joint Base Andrews (which, back then, was still called Andrews Air Force Base). Trump hasn’t ventured to that course, but he has traveled to his own golf facility in Sterling, Virginia, just a 45-minute drive from the White House. He’s also played at the two courses he owns near his Mar-a-Lago estate in Florida. Some of his visits don’t involve golf; Trump has held meetings with senior staff and Kentucky Republican Sen. Rand Paul at his Virginia club without venturing onto the course itself. When he does pick up a club, White House officials have declined to list names of Trump’s golf partners, breaking the practice of the Obama White House. The regular visits stand in marked contrast to Trump’s insistence during last year’s campaign that he wouldn’t spend time playing golf if elected president, including at the courses he owns. Trump also went after Obama repeatedly for his penchant for golf including in 2013 when Obama was considering striking Syria for its use of chemical weapons. Trump said he should been consulting lawmakers instead. “PresObama is not busy talking to Congress about Syria..he is playing golf … go figure,” Trump tweeted.